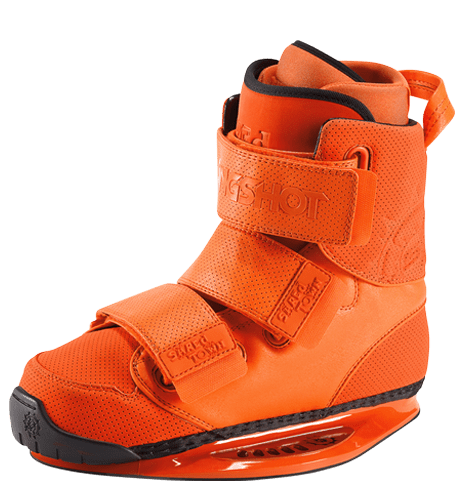 The Shredtown’s have been our most popular boot for the past two years, and with a bold design like this we imagine the trend will continue through the 2014 season. The tri-fecta velcro straps make exit and entry a breeze which is clutch when the boys have 10 minutes to get in, set up the winch, hit the ledge, get the clip and roll. The removable liners are also a great feature to protect your feet when walking around the cable, construction zones, the mall, and wherever else your adventures may take you…Orange you glad they went with Orange?